We promote the use of the best cover crops available. If you’ve never heard of them, take this opportunity to try these products at these great low prices! Guar seed. Upright 40” tall. Seeding rate 20#. Seed count 7,000. Heading in 45 days. Guar's wide leaves and height reduce weeds by shading them out. 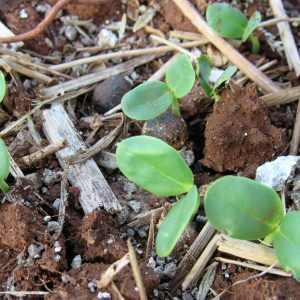 Like other legumes, Guar will add good nitrogen to your soil. Guar's characteristic of growing tall and thick creates more organic matter biomass. Another plus is that Guar is disease and insect resistant. Guar is produced commercially for what is Guar gum, an important food and medicinal additive. 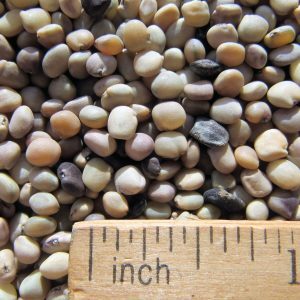 Guar is the most salt and drought tolerant warm season cover available. Price breaks at 6-49lbs and 50+lbs. 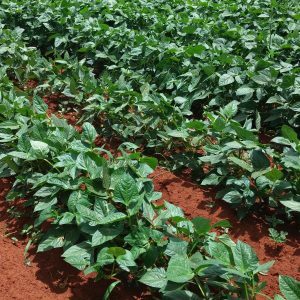 Iron Clay Cowpeas is a warm season annual legume capable of producing upwards of 2 tons of organic matter, 140+lbs of nitrogen/acre, excellent weed suppression, erosion control, good reduction in plant parasitic nematode populations, scavenger of P and K, forage ready. Cowpeas has excellent drought tolerancy and wind resistant. Cowpeas do well under limited watering conditions. 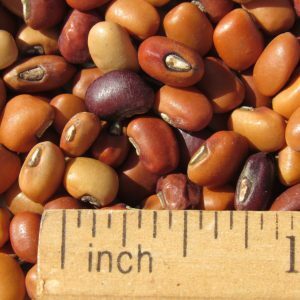 The hotter the environment, the better cowpeas will grow. Seeding rate is 30lbs drilled, 50lbs broadcast. Price breaks at 6-49 lbs, and 50+ lbs or more.